Just to be clear, no. It’s not a 19th-century fake. With that out of the way, I decided to take another look at a couple of things, and I noticed what some might consider to be new evidence in the question of whether or not the manuscript is a modern fake. One of the biggest ‘selling points’ for people who claim that it’s a fake is the difference in colour between the Leipzig leaves and the British Library leaves, according to the images at the Codex Sinaiticus Project website. Despite at least one professional manuscript photographer taking the time to explain why it is problematic to make arguments based on the colour of those images, the colour is still a point of emphasis from people who maintain that Codex Sinaiticus is a fake. David Daniels, author of the book Is the “World’s Oldest Bible” a Fake? (Ontario, CA: Chick Publications, 2017), recently posted a video (link and info in my longer note linked below) in which he again emphasised the colour of the leaves as part of his ‘evidence’. So what about this new evidence I claim to have? Well, it’s not really new as much as it is a repackaging of old evidence into a way that more clearly shows why determining colour from images is a bad idea. I’ve put a file online that goes into more detail, but I’ll give you the spoilers here. 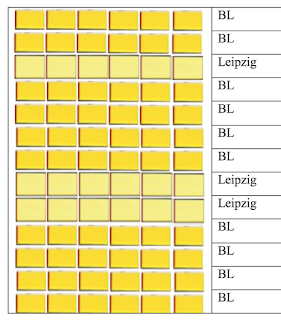 When you compare the colour charts in the Leipzig images and the British Library images, it becomes clear that there is no way that these two sets of images were taken to the exact same standards. However, the clearest way to demonstrate this conclusion is to take a single colour from each of the colour charts, lay the two samples out in a mosaic like Daniels does, and then see how they look. Obviously, the two sets of images were not taken to the level of precision that Daniels’ theory needs. If they were, we would see no difference in colour at all, because those two versions of yellow that you see in this image are the exact same colour in real life. Help me understand this, Elijah. Are you saying Codex Sinaiticus is NOT a fake?? Well, I have a degree in film production and have engaged with photography for something like 35 years. Saying that the photography conditions were different in NO WAY invalidates the argument that the leaves are or are not different colors in reality. I find this quite silly. Of course photography conditions were different, and yes we might expect a slight variation in tone depending on a host of factors. However in generally, a difference so stark to the even the untrained eye is unexpected under typical light table conditions. What I'm saying is simply this - do not dismiss the distinction with a handwave to photographic principles most are unschooled in. There is sufficient distinction there to raise eyebrows and suggest a further side by side comparison is warranted. I'm sorry I apparently wasn't clear about what precisely I am arguing. If the leaves are different colours in reality, it really wouldn't surprise me or change my position one bit. Differently coloured leaves are absolutely possible, especially for manuscripts that have been in different cities for as long as the Leipzig and London leaves have. To use your phrasing, even if the leaves really are different colours, that IN NO WAY proves that anything suspicious ever happened. In Daniels' video, however, that is not his argument. Now that you've made this argument and claim credentials that can be paraded around, I wouldn't be surprised if your comment gets taken up in anti-Sinaiticus rhetoric, but that isn't what Daniels is doing in his video. He is asserting that the photography conditions were identical. Clearly they were not. Correct me if I'm wrong, but you also seem to suggest that all of the observed difference in the photographs might be due solely to the conditions of photography themselves and not to post-photographing edits. I've looked at a lot of digital images of a lot of manuscripts, and the Leipzig leaves have a look to them that suggests that the contrast has been enhanced, perhaps to bring out the text better. My intuition there seems to have some corroboration in the color standards—the lights are lighter and the darks are darker in the Leipzig images. Moreover, I have seen some of those British Library folios in real life (as recently as a few weeks ago), and they don't look as yellow and dark in real life as they do in the images. The bottom line is that no argument about the colour of those folios can be made from two sets of photographs taken in two different places of parchment folios that have been stored in different institutions likely with different storage conditions for over a century and a half. Please don't assume that I'm dismissing the colour differences with a hand wave. It might look like a hand wave to you, but lurking behind it is years of experience working with manuscripts—both digitally and physically—and knowing what is and isn't abnormal. That experience (that quickly becomes centuries worth of experience if you consider others who have seen the images and do not think that they prove anything suspicious ever happened) shouldn't be dismissed with a hand wave either. Thanks for the thoughtful response. I suppose had best spell out exactly what my background is for the sake of clarity. Generally speaking, I'm a "scientist", that is after working in the film and vid industry for a decade I went to grad school in Anthropology - initially focusing on genetic archaeology but moving more into historical ecology and cultural resource management. Currently most of my research is cultural. My interest in things biblical and theological is mostly philosophical and stems from an intense fundamentalist baptist upbringing. When it comes to Siniaticus, I have no dog in the fight. It makes no difference to me if Siniaticus is fake or not. I gather that it is not remotely true of most people taking sides in the issue. Folks seem to be heavily emotionally and financially invested. To your questions: >>>"Correct me if I'm wrong, but you also seem to suggest that all of the observed difference in the photographs might be due solely to the conditions of photography themselves and not to post-photographing edits." Mostly yes. The differences in color tone could be due to to any step or several steps in tandem in the process. If brighter lights were used, or differing color temperature setting, or even very different brands of cameras - those all could produce a difference. That's a more likely cause to me than post production editing - like the gamma adjustments you mentioned - because I would expect the color tones to be less affected than they appear to be. It would also meant that each photo was individually adjusted and that would suggest there could be greater variation than what we see. Nevertheless all these things are possible causes. However, as I said, it is unusual for that much visible tonal difference to exist in photographs taken of the same mss. within the context of the controlled conditions of a light table. It is only possible to consider it because we are talking about two different light tables in two different countries, with the possibility of differing enhancement. But at this point, all we've got is what we anthropologist like to call a "just-so story", starting with a tale of two cameras. As a scientist, I must maintain the position that without either controlled photography or side by side comparison, NO ONE can or should claim the difference seen in the Siniaticus folios must be a photographic illusion. David Daniels may well have a few loose marbles, but he isn't crazy to point out that the color difference could be significant. Then again they might not be, but just talking about it is like the fabled argument over the number of teeth in a horses mouth. There must be controlled verification using the source material. If I may, I'd also like to address another point you made. >>>"If the leaves are different colours in reality, it really wouldn't surprise me or change my position one bit. ...... The bottom line is that no argument about the colour of those folios can be made from two sets of photographs taken in two different places of parchment folios that have been stored in different institutions likely with different storage conditions for over a century and a half." I'm sorry Dr Hixson, but I'm actually a bit shocked by your above statement. We both seem to be going down the fallacy road of appealing to our own authorities, but as an archaeologist I too have a more than passing familiarity with artifact preservation and old manuscripts. That said, am I to understand that you are suggesting that within a matter of mere decades, the British Library has carelessly? 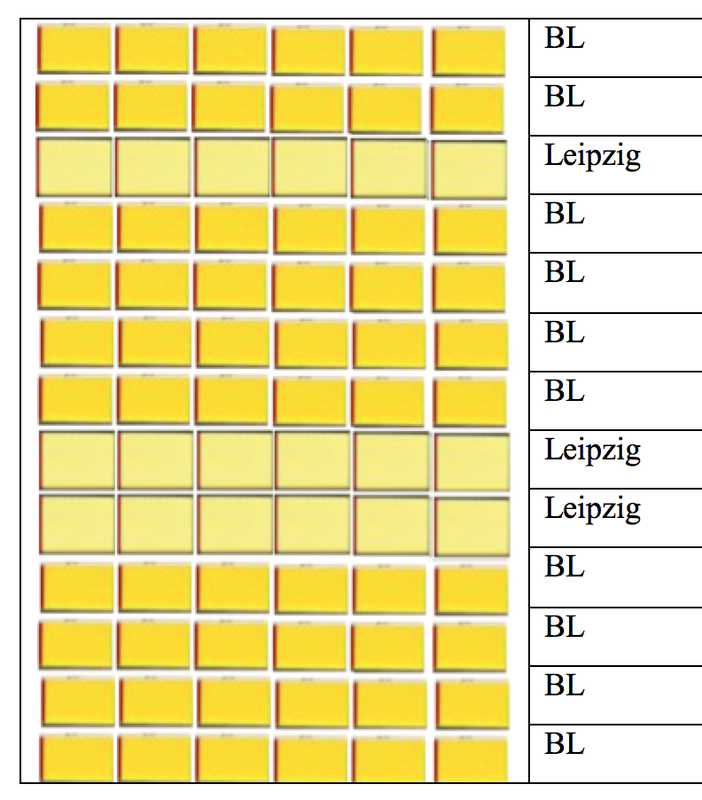 allowed 1500 year old parchment leaves to yellow consistently throughout while the good folks of Leipzig managed to prevent the same thing, consistently throughout, with theirs? That's completely unbelievable to me and contrary to all of my experience. I hope you can see how untenable an argument that is. If the BL sheets were the ones being claimed to be lighter and better preserved, then the argument might seem a little more persuasive, but even then, degradation over a relatively short period of the claimed lifetime of the mss existence, should be uneven, with some folios from the two sources being closer in tone than others. Anyway, so there is no confusion, I don't know if Siniaticus is a 19th century fake or not, and I don't think the color of the leaves whether different or not, is proof positive of anything either way, but I do think the color difference Daniels identified is curious and its a no brainier that something like that ought to be physically checked. As an aside, it probably ought to be mentioned that I've looked at some of Daniels other Siniaticus videos. From what you wrote, I gather that you may not be aware that the color tone difference is only one of his topics, and seemingly a fairly minor point among his various arguments, but discussing all that could be a real rabbit hole. (some are rather conspiratorial, but others seem to have better footing). I'm reading your paper now and I see that you are aware of Daniels other claims - please disregard my last paragraph. "That said, am I to understand that you are suggesting that within a matter of mere decades, the British Library has carelessly? allowed 1500 year old parchment leaves to yellow consistently throughout while the good folks of Leipzig managed to prevent the same thing, consistently throughout, with theirs?" Several things at work here. 1. The Leipzig leaves moved from St. Catherine's to Leipzig but the BL leaves moved from St. Catherine's to Russia, where it remained for several decades until coming to London only in the 1930s. 2. There are a whole host of things to consider, such as climates in Germany vs. Russia vs. London, conservation standards of yesteryear, etc. Remember, this was the era when causing chemical reactions with harsh reagents on the parchment was just the normal way you treated palimpsests. It isn't accusing the British Library of any fault to point out that normal things happened normally. 3. (and I cannot stress this enough) I have seen pages of Codex Sinaiticus in London with my own eyes, not colourblind and with 20/15 vision, most recently about a month ago. In person, they look noticeably whiter than the yellowish-brownish tint they have in the images on the website. "That's completely unbelievable to me and contrary to all of my experience." Do you have any experience with parchment manuscripts getting dismembered and showing up in different locations? In my experience, that is entirely possible. Additionally, have you been to the British Library to see what the parchment looks like in real life? "its a no brainier that something like that ought to be physically checked." If colour were the only issue, then I would agree with you. We also have the insumountable number of improbabilities/impossibilities that go into a 19-year-old kid deceiving the world with the poor work of his youth (and never even intending to do so), when his more mature work as an older, more experience forger was exposed in his own lifetime. I don't know of any precedent for a bound volume of unwritten parchment just laying around. It isn't enough just to be able to fake a 4th-century hand (when knowledge of palaeography wasn't what it is now), you also have to fake every single one of the corrections in a consistent hand, with enough differences to suggest distinct correctors, but without any of the 'wrong' kinds of differences that could flag them as anachronistic. You can't make a single mistake at any point because you'd have to take out whole quires—if it's already bound, then someone would notice if you took out single pages. But the quires are numbered, so you'd have to renumber them without evidence that you did that, but you'd have to maintain the right numbers for the estimated space. All this by a teenager who didn't want to deceive anyone? No, a perceive difference in colour that can be explained by normal things that happen normally to manuscripts does not trump the impossibility of the story simply on the details of how it would have to happen to result in the manuscript we have today. "Folks seem to be heavily emotionally and financially invested." I really do not appreciate comments like this. In my experience, they are almost always made with less than charitable attitudes, a complete ignorance of how scholarship works (you would be a celebrity if you could prove that Sinaiticus is a fake, not shunned), and sometimes a desire to belittle the person in disagreement so that the argument does not have to be taken seriously. >>>"Several things at work here...."
Fair enough, being moved around under different preservation conditions could account for a difference in ageing, though, as I said, it would be unexpected for leaves to be uniformly affected. Thank you for clarifying your reasoning. Dr. Hixson, I'm sorry but that is not a helpful argument one way or the other. >>>"Do you have any experience with parchment manuscripts getting dismembered and showing up in different locations? In my experience, that is entirely possible. Additionally, have you been to the British Library to see what the parchment looks like in real life?" Lobbing shots at me from your tower is not helpful. Seeing one set of parchments in person is not helpful. Seeing both sets together would be. That's way beyond the scope of what I could meaningfully discuss, except to caution you that scoffing at what you *think* a "kid" could or could not do is again not helpful. I'm completely unpersuaded by ad hominem attacks, be they against me, or or Simonodes, or Tischendorf, or any other person living or dead. I'm a scientist, trained to look past socio-cultural layering into the facts of the case. I've watched a few of Daniels videos. I have not read his book. I have in no way come to any conclusions. Your arguments above are less than persuasive, but in fairness I realize you are only making brief, off hand comments. >>>"All this by a teenager who didn't want to deceive anyone?" There's way too many assumptions in that statement. I don't know or particularly care what Daniels position is, and I likewise don't care what Simonides may have claimed. If we are to suppose he did actually make the mss., I see no reason whatsoever to suppose Simonides worked entirely alone, or that he wasn't trying to deceive. Om fact. IIRC, Daniels claimed Simonides uncle had a hand in the mss work. To be clear, I'm not in any way saying I believe Daniels' claims. I am saying that nobody living was present when Siniaticus was created, therefore the archaeological approach would be to make no assumptions and treat any written ethohistorical source as only a starting place for research questions, not a set of defined parameters for how things "must" have been. Summary: For the moment, I must be open minded. I really do not appreciate comments like this. In my experience, they are almost always made with less than charitable attitudes, a complete ignorance of how scholarship works..."
Wow. It is a simple factual comment. Isn't it? Bible publishing companies are financially invested. KJV only folks are emotionally invested. I assure you Dr. Hixson, if that ad hominem was directed at me, that I know perfectly well how scholarship works and was not attacking the academy or you. I was providing a standard caution regarding what we should all be mindful to avoid. Let me just add, after reading your paper, it is my understanding that each photograph of each leaf is accompanied by a color bar. Is that correct? If so, then any discrepancy in tone between BL and Lz leaves can be easily resolved. The whole point of color bars is for color match correction. So unless I missed something (entirely possible), all you would need to do is measure the color temp of one color bar (either one) and adjust the other color bar to match. With the color bars matched, then you could see if the tones of the leaves matched or not. Thank you for your comments. I would encourage you to do two things. 1. Please familiarise yourself with the wider story. Simonides did claim that he had help (including from his uncle), but he also claimed that it was "the poor work of my youth" and that he never intended to deceive anyone. That is not an assumption I made, that is what Simonides himself claimed. He claimed that it was supposed to be a 'replica' of an old-style manuscript, not an attempt to deceive (similar in idea to the St. John's Bible). 2. Please read a bit more about the issues of colour that I and others have raised before commenting further. From your last post, it sounds like you only now realised that there were colour bars in all the photos, but that is one of the most basic premises of this whole discussion. That has been precisely my argument all along. They are there in all photos, and they don't match. Photoshop is not one of my strengths, so I'm not sure I could do what you have described, but I have long thought that it should be done. Since you seem to know how to do that, why don't you do that for us? I would welcome your findings. One problem that I know you'll encounter though is that the white value for the Leipzig images is outside the range of what is possible for that particular colour target, so I'm not sure how you could make the adjustment precisely. A friend of mine (who knows more about this sort of thing than I do) said it was like having a scale that went up to 100 and seeing '-error-'. All that tells you is that the weight on the scale is more than 100; it doesn't tell you if it's 101 or 753. Back to what I think a 19-year-old can or cannot do, the fact of the story is that this particular 19-year-old made manuscript forgeries later in life, after he had years more experience in it. If Codex Sinaiticus is a fake, then a 19-year-old who never meant to deceive anyone accidentally created one of the greatest hoaxes the world has ever seen, and then years later, when he *was* trying to deceive and had a lot more knowledge and experience doing it, was exposed as a fraud. That is less a comment on what a 19-year-old could do and more a comment on what an older man with more experience did do. We would expect more experience to make him better at his craft, not worse. You say: "Lobbing shots at me from your tower is not helpful. Seeing one set of parchments in person is not helpful. Seeing both sets together would be." I'm sorry that I have come across to you as if I were lobbing shots from my tower, but I really don't think you understand the full issue, and it might be because you haven't read Daniels, etc. I am very sorry, but since you commented, I assumed you knew the full argument and was responding as if you did. 1. The claim is that the BL leaves are yellow and were 'treated' with something to give them an aged appearance. 2. This claim that there is something abnormal about the colour of the BL leaves is almost always made by people who don't have experience working with other manuscripts. Both of these factors are relevant (I'll also add that degrees, titles and positions are not in themselves relevant here, but experience with manuscripts) for two reason: 1. Because the claim is that the BL leaves have been aged and are yellow and made to look older than they are, then regardless of what colour they are in photographs, in real life, they should look like they have been treated with something. They don't. 2. In order to make a credible claim that there is something abnormal about the BL leaves, you really do need to have a good handle on what kinds of things are possible, normal, etc. in manuscripts and in images of manuscripts. Admittedly it would be great to compare both sets of leaves side-by-side, but that isn't necessary to be able to make the observations that the BL leaves themselves do not look suspicious in the least or that the images of the Leipzig images do look like the contrast has been increased. You say: "I am saying that nobody living was present when Siniaticus was created, therefore the archaeological approach would be to make no assumptions and treat any written ethohistorical source as only a starting place for research questions, not a set of defined parameters for how things "must" have been." I agree. And the way to do that is to look at manuscripts, look into how they were made, with what materials, etc. Look at corrections, look at handwriting in a lot of different samples of manuscripts, etc. The argument has very little to do with colour and everything to do with codicology, palaeography, manuscript groupings, etc. Ask what it would take to end up with Codex Sinaiticus as we have it, and then ask if that could have been done at all in the 1800s, much less done so convincingly. That brings me to the penultimate point: If the argument has little to do with colour, why did I make this post at all? Because in general, a long reasoned conversation is ineffective with people. That's why memes and Twitter 'work'. David Daniels has a picture that people can see, and then he makes claims in his book. They really go in that order. The picture is on the cover of his book, and he starts the book asking "what color is it?". That's the logic of it, even if the intent is something else—the first thing you see is his mosaic on the book cover. One of the claims he makes (usually after a reader has already seen that picture) is that the photographers did everything the same way, which is why the picture is so effective. How do I respond to that? Well, I can describe why I think he's wrong, and nobody will listen. Or, I can do what he did, and have a picture. So I made a picture. Finally, "Folks seem to be heavily emotionally and financially invested"
I stand by what I said. I do not appreciate comments like that. My explanation was one step behind why I don't appreciate comments like that, so I am sorry for not being clear. At the end of the day, truth is not relative to the degree of emotional or financial investment someone has. If you have a problem with what someone is saying, you should be able to articulate what is wrong with it rather than claim that they are too emotionally or financially invested. You can be emotionally or financially invested and still be right, or you can not have a dog in this race and still be wrong. I am glad to know that you don't fit my observation about people who make comments like that, but I would rather you tell me what I said that was wrong than make statements like that. Isn't it possible, to have the colours of the original Manuscript measured and compared, instead of debating the colours of photographs? There were notes taken about the colour of the pages, so in a sense that has been done. Still, how do you quantify that? Colours on pages are uneven, so one measurement for a page can never give you a truly accurate picture of what the page looks like. Also, see my above comment—it doesn't prove anything about the age of the manuscript. There are industrial contact-free colour-measuring devices; multiple measurements on multiple sheets of each of both parts of the manuscript should give evidence, whether there is a colour-difference. At least the debate on different colours of photographs would have an end. Now - just with these photographs - you are debating "second hand evidence". Yes, those measurements would say nothing about the age of the manuscript, but do these photographs tell us something about that? The debate is/was colour-difference, nothing else. Some of the comments above seem to have missed Elijah's point. The color swatches from which Elijah made his chart are, in real life, identical. That, after all, is the point of their inclusion. If the same square (which we know to be the same color in real life) appears to be a different color in the images, it is because *something* about the conditions in which the images were taken or processed is sufficiently different to cause said difference. If, in fact, the color swatches were in fact different, that only proves the the photographers were careless to a level that makes the entire debate meaningless. Try as I might, I cannot think of the slightest hint of a motivation for deliberately using different color standards. And as anyone who has actually worked with manuscript images knows, irregularities of every conceivable kind are the norm, not the exception. Ex theological librarian with a specialisation in early biblical MSS but for past 2 years have been working as an historical records digitisation specialist in a major archive - so have relevant experience in what is being discussed. Same operator (me) in the same room with the same wall colours and same ambient lighting, using the same brand and model of scanner with the same settings, I find that the images of a single page will differ, sometimes in quite significant ways if you know what to look for and have 2 or more copies viewable at the same time. The point of this is that I'm not surprised that there are noticeable differences between images taken under different circumstances. If I was into conspiracies I would be more suspicious if there were not differences. Right, but the point is that you wouldn't make up sweeping conspiracies over the fact that there were differences in the images while ignoring such a noticeable shift in the color target between locations. Some very slight variation is acceptable (such as the *very* subtle differences at each location) depending on the setup and equipment, but the color target is what allows you to check that variation and can be measured in any number of programs. As to acceptable variation in an MSI setup (which is of course pretty much ideal), we have a tolerance range of Δ1 for each L*a*b* variable for a total ΔE of 1.7. I just did a random sampling from Elijah's chart in Photoshop and found ΔL(+4), Δa(-7), Δb(+34) for a total ΔE of 34.9 (calculated as each valued squared, then summed, then find the square root). That's tremendous variation. Unsurprisingly, the b* variant is where yellow-blue is measured and that's exactly the type of shift we see in the images (i.e. "cooling" in the Leipzig images and "warming" in the BL images). Use these color swatches to calibrate the photos. Can the hue of each of the Leipzig photos be adjusted so that the colors on that swatch (I think there are multiple colors on it right? not just that pale yellow one) match up with the ones on the BL photos on a computer monitor, so that the shades of the pages can then be compared in more of a comparison of like with like? I don't know if this would be a reliable method or not. But it seems like it would be a step closer to making valid comparisons. At any rate, just from looking at what Elijah has shown us, by my eye the difference in shades between the color swatches looks pretty close to the difference in shades between the pages, which does prove that the pages themselves must be closer to the same color than they way they appear in their online images, so that conclusions can't be drawn from that apparent color difference about different histories for the respective pages. One of the similarities I meant to mention was criticism by re-dating advocates of the find stories, based on, e.g., the false claim that scrolls had been in the Jerusalem St. Mark Orthodox library for fifty years, and differing details of the Sinai St. Catherine's story--even though later finds in both cases confirmed the Qumran caves and the St. Catherine monastery as indeed the find sources.